This is the earliest picture we’ve found of the Flint House. 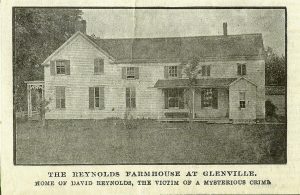 It appeared in the Utica Saturday Globe in May 1901, as part of a long article about the murder of the owner, David Reynolds. 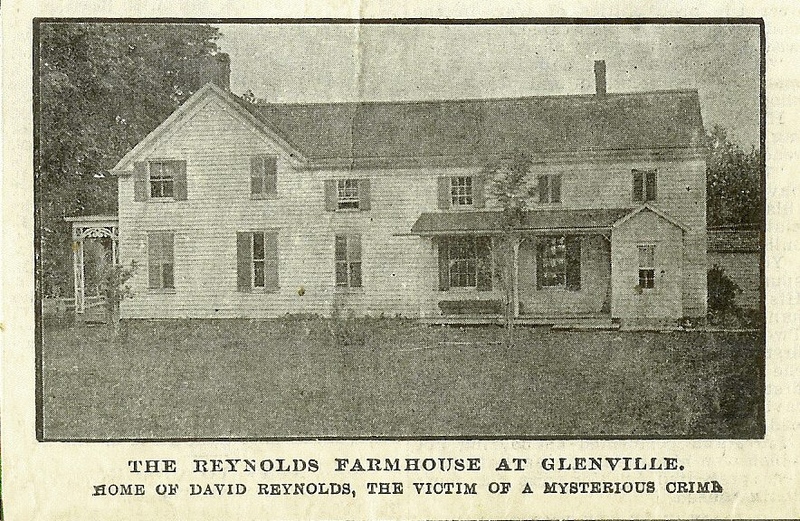 He had been killed out back in one of the many barns, and, while several arrests were made, no one was ever tried for the crime. You can see the house had a very ornate (and likely Victorian) porch, and it had a long ell in the back, nearly the size of the front part of the house. Also note the interior chimney–Lillian Flint moved the chimney to the outside of the house and rebuilt the fireplace when she lived there. The tool is a snow knocker or snow hammer. 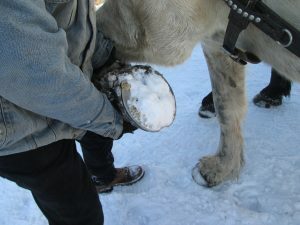 In the winter, snow and ice can get packed under a horse’s hoof, turning into a solid mass of frozen material. Walking on this can cause tripping and sliding, and even serious injury, so it needs to be removed. 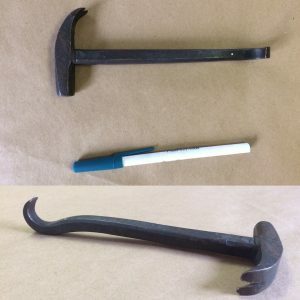 Thus this handy little tool. 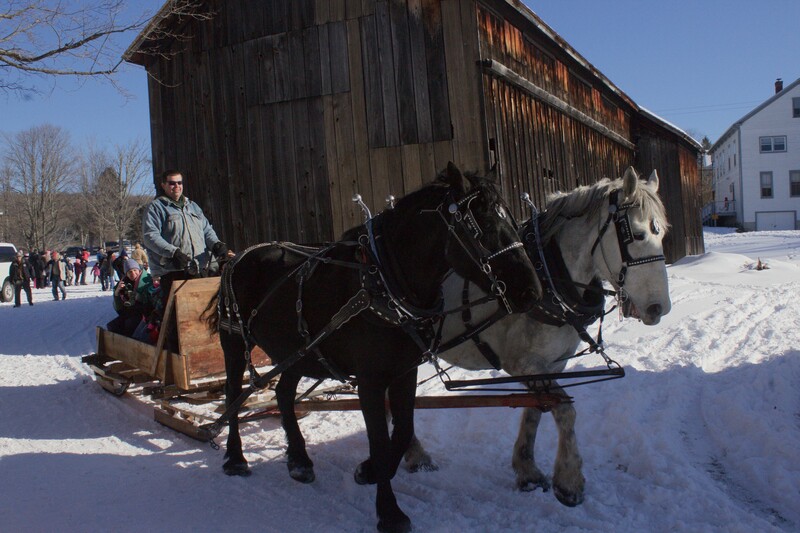 Here’s the team that assisted in the above photo, providing sleigh rides at the Hanford Mills Museum Ice Festival on Saturday, Feb. 4, 2017. 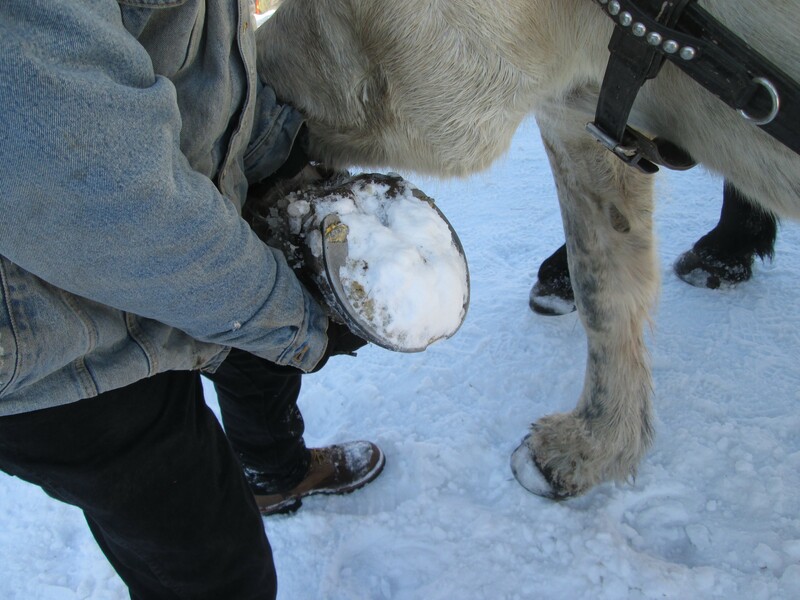 It’s a great event–you can actually go out and cut some ice blocks yourself. 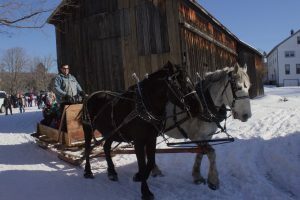 You only need this one in the wintertime! Check tomorrow for the answer. Dudley Toll Hill appointed Acting Police Justice of the Village for the year 1917. Resignation of James Bliss, Village Assessor, accepted, effective March 1. Bills submitted and approved for payment. 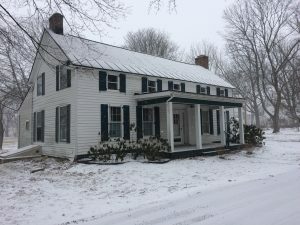 List of the names, addresses, and amounts of those with unpaid Village taxes and unpaid assessments for paving and curbing; a list of those deemed uncollectable that will be sold for back taxes. Village Clerk authorized to purchase additional steel filing units for the Village office, not to exceed $60. Payments approved for 2 street funds (one includes paving for Mohawk and Schon-o-we [sic]). A proposition for a new pumping unit to replace the current pump #2 was received from the General Electric Company. It is to be placed on file, the amount needed included in the 1917 budget, and the next board can have the work done. The Village Attorney is to interview the State Board of Health in regard to the operation of the Sewer Disposal Plant. The Village Attorney and Engineer reported on their conference with Mr. Horton of the State Health Department. The Engineer is to see if it is practical to dispose of sewage without the cost of pumping, and to submit this plan to the Health Department.